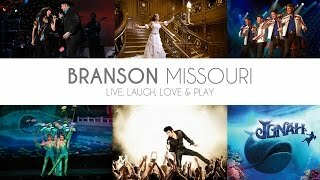 Branson Con 2019 is the area’s home to all things pop culture, Sci-Fi, and comic related by hosting 3 full days of celebrities, authors, artists, cosplayers, costume contests, panels, workshops, gaming, collectibles and special events. Meet special guests Chad Lindberg, Nicholas Brendon, Jen Greeley and many more! Weekend Passes allows access to all areas of the con that are considered General Public. This includes the convention floor, all panels, gaming room, digital gaming room, movie room, anime room, main programming special speakers and also the media and VIP Guests areas. ALSO, weekend pass holders will receive access to off-site event AND specials and discounts on activities such as transportation, food, drinks and access to special off-site activities to be announced. Areas that are not included in weekend passes are the VIP Room, Convention "After Party" (21+ only) and area deemed as STAFF ONLY or VIP ONLY. **Subject to change without notice. The calendar for this show will be available soon. Keep checking back, as shows are frequently updated at the start of the year.